For a service focused on brevity, Twitter sure is generating an awful lot of in-depth discussion these days. The latest chatter, aside from the always-present business plan buzz, is all about numbers: Twitter has now grown to a whopping 50 million tweets a day, according to the company's analytics team. That means every second, 600 updates are being sent in less time than it takes to say "fanciful fail whale." But there's something about that number Twitter isn't telling you. To gain some perspective on the present, we need to take a quick trip to the past. 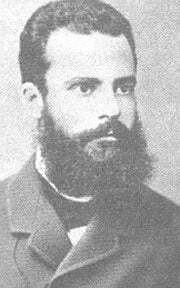 Vilfredo Pareto was an Italian economist born in the mid-1800s, back when uttering the word "tweet" was probably enough to get a guy's arse kicked. Pareto famously noticed that a small portion of Italy's population -- about 20 percent -- owned nearly 80 percent of the country's land. This concept went on to become known as the "Pareto principle": the idea that roughly 80 percent of any effect comes from 20 percent of the participants. That same principle seems to be very present in Twitter's traffic, perhaps in an even more extreme ratio. 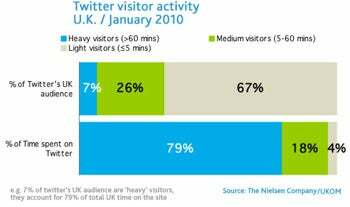 Some analysts from Nielsen looked at Twitter's UK-based activity during the month of January. They discovered that a very small subset of people -- about 7 percent of the total userbase -- accounted for 80 percent of all tweeting action. In other words, get rid of Guy Kawasaki and Ashton Kutcher, and Twitter's EKG would practically be flatlining. There may be more to the story yet: Recent metrics compiled by marketing agency HubSpot suggest that despite the growth in overall tweets, the number of new users signing up on Twitter has dropped dramatically over the past months. HubSpot says Twitter's growth slowed from 13 percent last March to 3.5 percent in October. The number of so-called "influential tweeters," meanwhile, doesn't appear to have fallen; if anything, it's likely only grown as more users have worked toward amassing large followings. I'm no "social media expert" (heavy emphasis on the quotation marks there), but that sure seems to support the 80/20 theory as it relates to Twitter's 50-million milestone. Interesting stuff, eh? I'd go tweet about it, but I'm too busy trying to catch up on the last 10,000 updates I got from Guy and Ashton. JR Raphael is a PCWorld contributing editor and the co-founder of eSarcasm. He's on both Twitter and Facebook; come say hello.